The Keiser M3 Total Body Trainer (TBT) is designed to give you a total body workout, combining cycling action with moving handlebars. 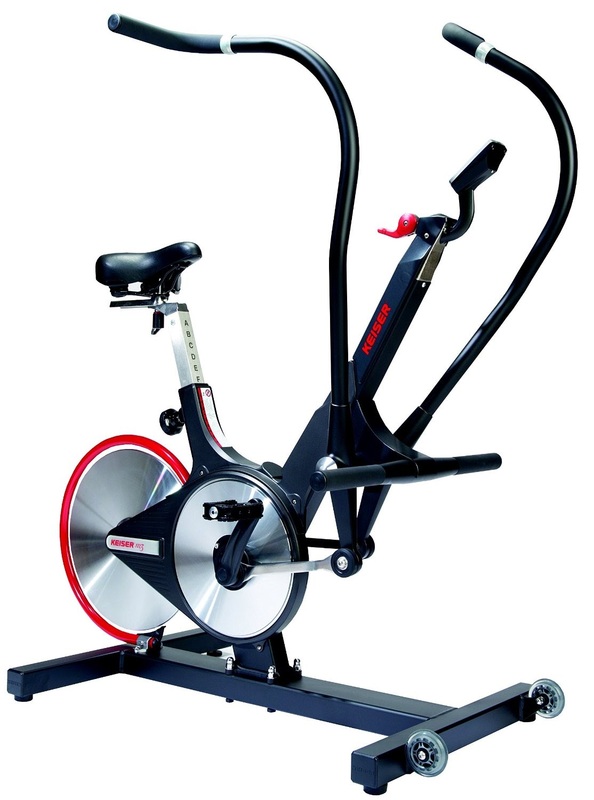 Solidly built for commercial use, the Keiser M3 Total Body Trainer utilizes the same smooth quiet magnetic resistance and belt-drive system as Keiser’s popular M3 spin bike. The Keiser M3 TBT utilizes a lightweight aluminum flywheel and offers a great range of resistance levels/gears (up to 24 tension levels) suitable for beginners up to advanced users. The Keiser M3 Total Body Trainer enables you to work your upper and lower body together, or you can isolate your upper or lower body movement by just cycling or just using the moving handlebars and resting your feet on the foot-rests. 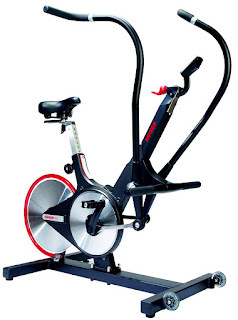 The Keiser M3 TBT features a large comfortable saddle which is 4-way adjustable, i.e. up/down and fore/aft, for a custom fit. The Keiser M3 TBT comes with dual-sided pedals: standard on one side and SPD on the other side. A gravity-based water bottle holder is also included so you can keep hydrated as you exercise. The Keiser M3 Total Body Trainer also comes with an easy-to-use M-Series Computer (battery powered) which displays your workout stats such as time, distance, RPM, watts, odometer, resistance (gear) level. The monitor is also compatible with an optional wireless Polar heart-rate monitor. The Keiser M3 TBT is constructed from durable steel and aluminum, and is a fairly compact size with a footprint of 48” long, 29” wide, and 52” high. It also has built-in front transportation wheels should you need to re-locate it. The Keiser M3 Total Body Trainer is built to high standards and designed to maximize calorie burn. The fact that it is used by professional athletes, medical professionals, fire and police departments and others is testament to its quality and effectiveness! It's very low maintenance and whisper quiet in operation. Made in the USA.